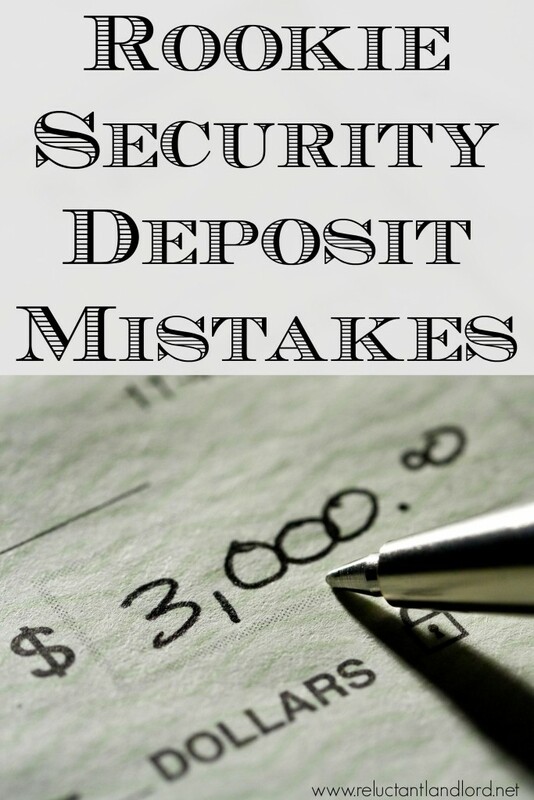 Landlords: Are you making Security Deposit Mistakes? Did you know that fixing your tenant’s damages yourself could cost you a lot more than heartache! The worse thing that could happen to a landlord after tenants leave the house destroyed is owing the tenant money. Can you imagine the insult to injury that you owe your tenant because of red tape rules that you didn’t follow? While this sounds like something out of a nightmare it unfortunately happens all the time. Landlords can only charge for Material -Not Time – Many states will not allow a landlord to charge a tenant for their time; only materials. Therefore if you paint the house you cannot charge them for the labor hours you spent cleaning the walls, taping edges, and actually painting. You can only charge for the materials: the paint, the brushes, the tape etc. It is the same thing for cleaning and steam cleaning. If you hire out the work and use a vendor instead of trying to “save money” by doing the work yourself you can deduct the entire cost charged by the vendor. Penalized for winging it– If you “wing it” and are found in the wrong, thereby incorrectly charging the security deposit, the tenant often times has the right to come back for 3x the amount. Keep pristine records. Returning the Deposit late– In some areas if you return the deposit one day late you owe 3x rent no matter what! I can’t say it enough– check your local laws. Carpet and Paint Deduction Rules – Some areas have very specific rules regarding the age of the carpet and how it can be deducted. For example in one market carpet has a 5 year lifespan and therefore if the carpet is over 5 years old you cannot deduct a single penny out of the security deposit if there is carpet damage. This is a real bummer because we all know carpet will last longer than 5 years if maintained well. Area Specific Rules – there are MANY more rules that are specific to individual areas. The burden is on you as a landlord to learn the rules. Ignorance of the laws could cost you a pretty sum! As demonstrated above-there are so many different nuances. The only way to cure this problem is to look up your individual state law where you are operating. I try to review the rules before every single turn over because it helps keep me out of the doggie house. Hire All Work Done for Repairs Due to Tenant Damages- While it is often times more expensive and counter intuitive, hiring a handy man is safer and sometimes cheaper. For many, the idea is that I will fix it myself and thereby pass the savings on to my tenant. The opposite often happens. By hiring it out you can pass the entire cost directly on to your tenant. It’s easy to prove the amount and, honestly, it is less stressful. No eight trips to Lowe’s for the perfect tool. Your vendor has it all covered. Create an Invoice for All Charges Deducted From Security Deposit– I send a cover letter along with a check for the returned funds and outline the charges I have removed and why. Return the Deposit on Time- I do not provide the deposit back at move out time. I have found too many issues the next day. That being said make sure you do return the check on time. In some areas it is the post mark date that applies but it is your responsibility as a landlord to find the exact date required by your local laws. Certified Mail and with Signature– I always send everything certified with returned receipt requested. This provides, tracking, a date received, AND a signature. This is my CYA! (ps- the postage fee is a cost that may be a deduction come tax time so, again, keep pristine records). What “quirks” have you found in your local laws? What do you do every time as a CYA? Have you made any of these security deposit mistakes?